Track at Mill Lane, Lower Hellesdon, Norwich. Club Secretary: R.D. Smith, 18 Madpit Lane, Norwich(1962). Club Secretary: Cliff Ellis, 144 Gipsy Lane, Norwich NOR 95G(1964). Club Manager: B. Watling, 37 Winchcombe Road, Norwich. Raced in the Norwich League 1963(finished 3rd). 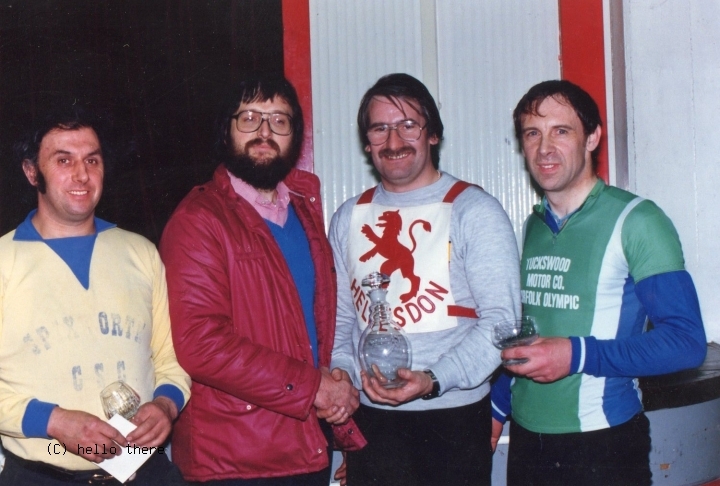 Club Colours: White with a Red Lion on racejacket. 1958 Barry Harris(14) won the Norfolk Junior Riders Championship. 1962 & 1963 Clive Hurrell & Barry Woodcock won the Uxbridge Best Pairs. 1963 Clive Hurrell won the Ken McKinlay Shield, runner-up Barry Woodcock(Galley Pirates), 3rd Vic Goodson(Galley Pirates). 1963 Clive Hurrell won the Reg Willgress Memorial Trophy at Spixworth, runner-up David Watson(Scottow Horseshoes), 3rd Denny Broughton (Itteringham Rockets). 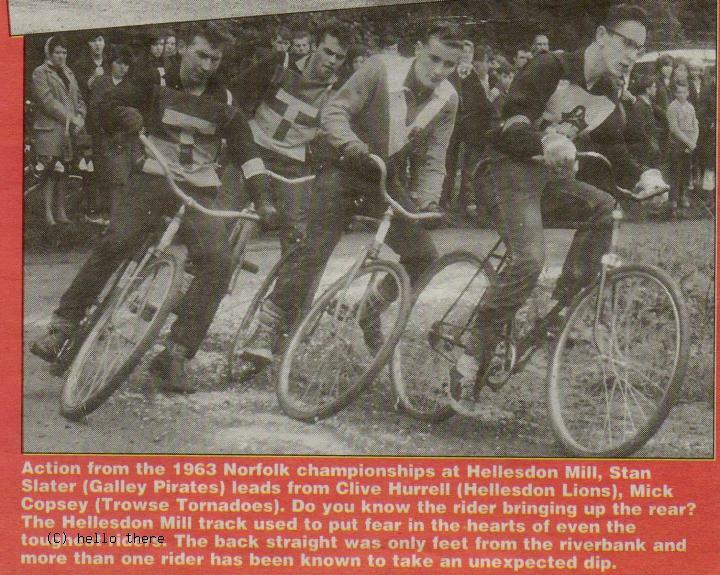 1963 Clive Hurrell won the Culling Cup, runner-up John Attoe(Galley Pirates), 3rd Eddie Paternoster(Hellesdon Lions). 1964 Clive Hurrell(11) won the Horspath Open Championship After a run-off with Barry Dawes(Horspath Hammers), 3rd was Derek Garnett(10) of Offerton Devils after a run-off with Kevin Rowland. 1964 Clive Hurrell won the Reg Willgress Memorial Cup at Spixworth. 1965 Clive Hurrell came 3rd in National Individual Final. 1965 Clive Hurrell & Rod Witham won the Anglian Best Pairs, runners up were Mike Parkins & John Dicks(Norwich), 3rd place went to Pat Callow & Paul Baxter(Marsham). 1966 Dave Baxter(14) won the John Sparkes Memorial Trophy at Hethersett. 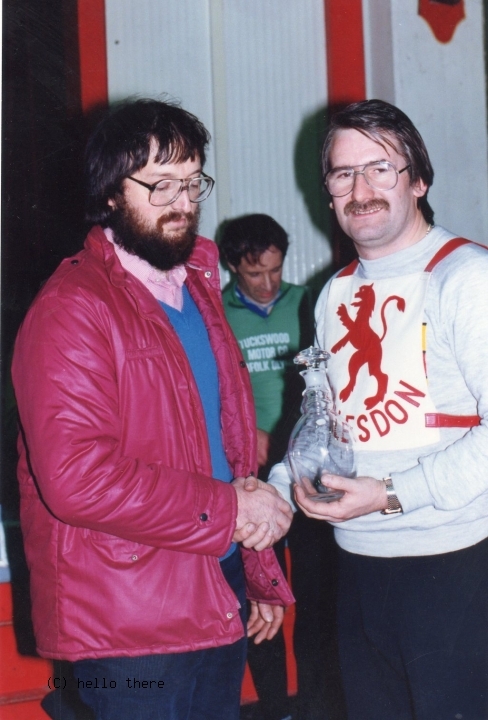 Runner up was Mervyn Spink(Scorpions) after a run-off with Ray Hunt(Eaton Tudors), both riders having scored 12 points. 196? Rod Witham won the Norwich & District Junior Individual. 196? 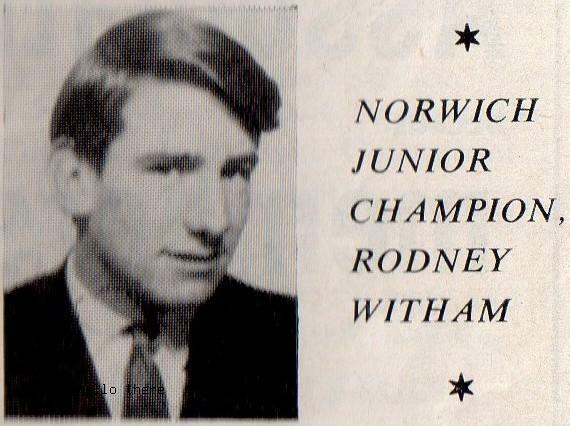 A very young Rod Witham.